Editor’s Note: This video project was produced by UC Berkeley Graduate Daniel McGlynn. It is a visual exploration of the Point Molate area on Richmond’s shores. The area, which served as a former Navel Fuel Depot, has been the center of an intense debate. Upstream Point Molate LLC, a development corporation, has long hoped to build a casino here with its partner, the Guidiville Band of Pomo Indians. Below are a few words from McGlynn. The proposed casino project at Point Molate will have a profound impact on the landscape. The Point is not necessarily beautiful or majestic; relics of its past lay rusting and falling apart. Gates and fences restrict access. There is something about the place – decades of Bay Area history is folded and refolded into the land – that is valuable. A casino would certainly change that. How irresponsible of Richmond city officials to enter into an agreement that leaves Richmond wide open to lawsuits. Where was the city’s legal eagles? Richmond resident & tax payer. Did you learn this in your journalism classes at Cal? You show us photos of what you suggest is Point Molate when less than a third of them are actually of Point Molate. 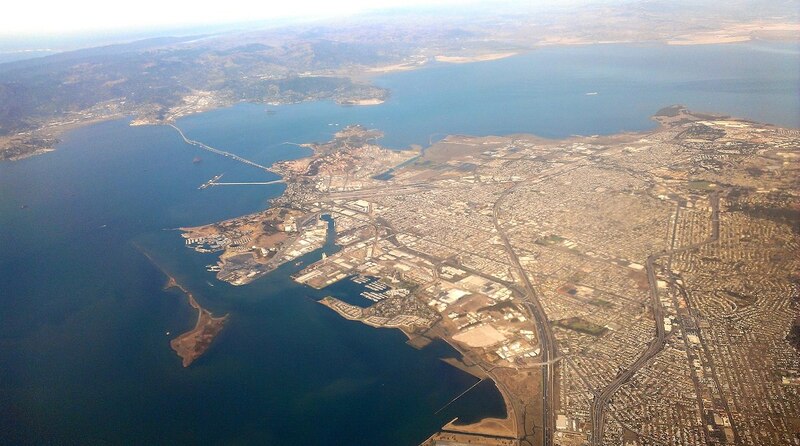 Point Richmond, the San Rafael Bridge, Chevron’s Rod & Gun Club, the East Brother Lighthouse, the Chevron Refinery, sunken ships a mile south of PM and Richmond’s Terminal 4 have nothing to do with Point Molate and no matter what happens at Point Molate, none of it will change those areas. The design of the resort hasn’t even been started yet you show us photos of high rise casinos from other parts of the country as if the Point Molate casino will resemble them? Aren’t you even aware that the casino will be inside the historic Winehaven building that will be refurbished as a part of this project? Have you even looked at the conceptual drawings showing that the footprint of the proposed development will be virtually the same as what’s already been used by Winehaven and the Navy? What do you think is going to happen to this property without such a development proposal? Who’s going to come up with the $60+ million it will take just to create an infrastructure? How much in additional taxes should we the citizens of Richmond be asked to pay just for the $2+ million per year in bare bones security, fire prevention and maintenance once the City tells Upstream they no longer want their money? Who’s going to bring these historic buildings back where the public can enjoy them? Who’s going to pay for the Bay Trail along the waterfront? Who’s going to come into the area offering 17,000 jobs in the community? You don’t have the answers to these questions because you haven’t even bothered to ask the questions. Just curious, since it’s illegal to take photos inside a casino, just how did you get the video footage of the people gambling inside the casino. Since there was an expectation of privacy once they entered theses casinos, did you get their permission before taking their photos and posting them on the Internet? Perhaps at the National Enquirer or Fox News they do things this way but your form of journalism is an embarrassment to those of us who have practiced it with honor. By the way, like the previous commenter, I, too, live and pay taxes in Richmond and have for more than a half century.